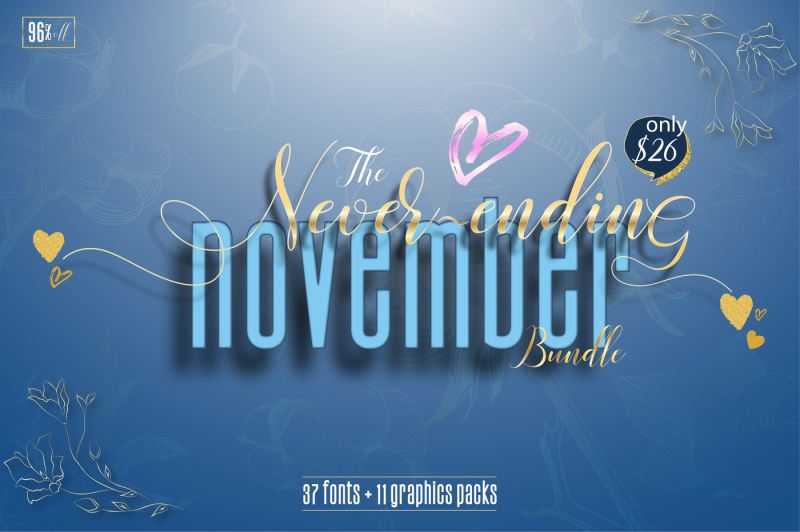 The Never-ending November Bundle has arrived! 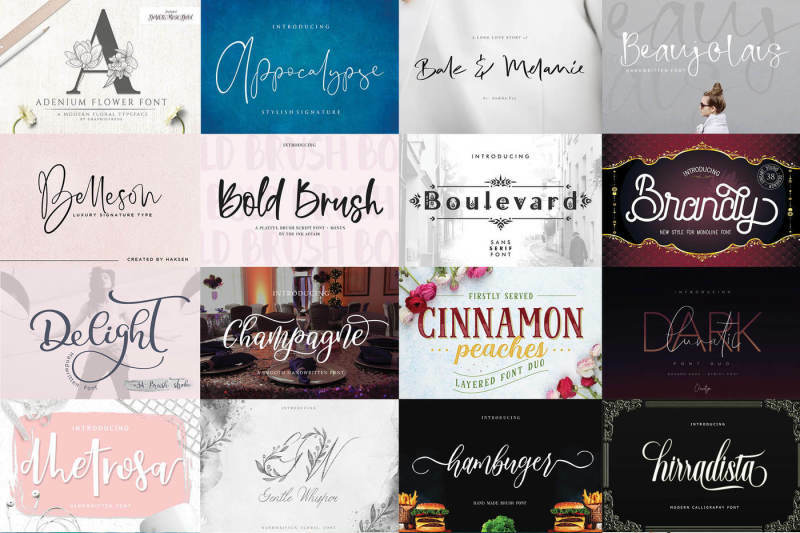 This bundle which features 37 fonts and 11 graphics packs is now available for ONLY $26 for a limited time only. That's 95% OFF the regular price (worth $573)! Web fonts included (EOT, SVG, WOFF & WOFF2 Files).